Today, thousands of marketers sit in conference rooms examining their brand. They talk about the health of their brand: brand identity, brand positioning, brand essence or even possibly a new brand campaign. All of these discussions are absolutely essential in the development of the brand; however, it seems there are increasingly fewer deliberations about the Brand Experience. Let’s face it, we all hope that the consumer loves our logo or can’t wait to see our latest commercial, but this is probably not the case. – What have we done to provide a consumer with absolute delight when they are experiencing our brand? – Is the cost of designing and implementing this experience truly worth it? I understand that this part of the branding equation may be the most expensive. When we look to define or redefine a brand experience, it may take awhile to reap the financial benefits. If developed and implemented correctly, it will have an extremely positive medium to long-term effect. If the brand has a brick and mortar presence, it is critical to create an environment that is not only practical but aesthetically lifts the consumer to a different place, while still being consistent with the overall intent of the brand vision. What is the color palette for the walls, furniture, etc.? What textures will be used? How will the flow of the space help to enhance the shopping journey? Is there a reason for technology to be front and center or is it introduced in a subtle way? How will lighting in the space enhance the brand story? How much do you want the consumer to actively interact with products? This endeavor is time-consuming and yes, may be costly. However, do you really have a choice in the matter? If you truly believe that the brand experience is critical to success, you must go the extra mile and pay attention to detail. We see examples of this across the globe from Fiii Funhouse Café in Buenos Aires to Warby Parker’s flagship in NYC to La Musa Art Lounge in Mexico/Panama. 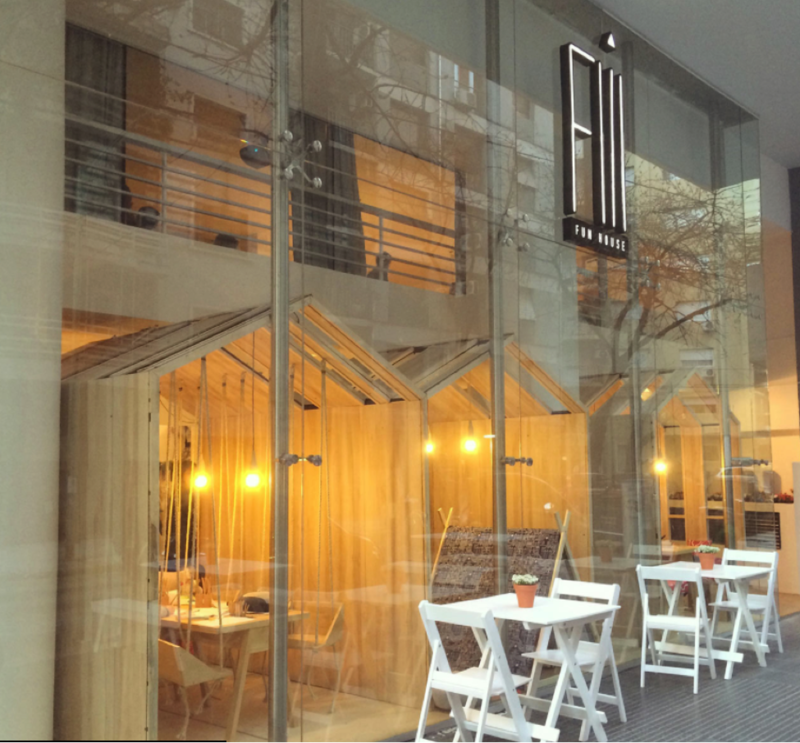 A new type of restaurant/cafe – a place where the parents could have as good of a time as the kids, and vice versa. The combination of glass, wood, tile and functional yet comfortable furniture creates an environment that is welcoming to both parents and kids. Think about it: When was the last time you took your kids to a place that accomplished both? Located in the historic Cast Iron District in SOHO, Warby has reinvented the way we experience eyewear. The seamless transition from offline to online has been impressive because they have completely mapped out the customer journey. They have focused on the service aspect of things such as “30-day, no questions-asked exchange policy” and prescriptions filled online then delivered to your home in 24 hours or less. They also understand the power of design by creating vignettes within the retail environment that are visually pleasing and unexpected. Warby Parker’s innovation both online and in store sets them above and beyond their competition. Art and culinary cuisine can be intimidating but the concept of combining the two is a pleasant surprise for consumers in Latin America. 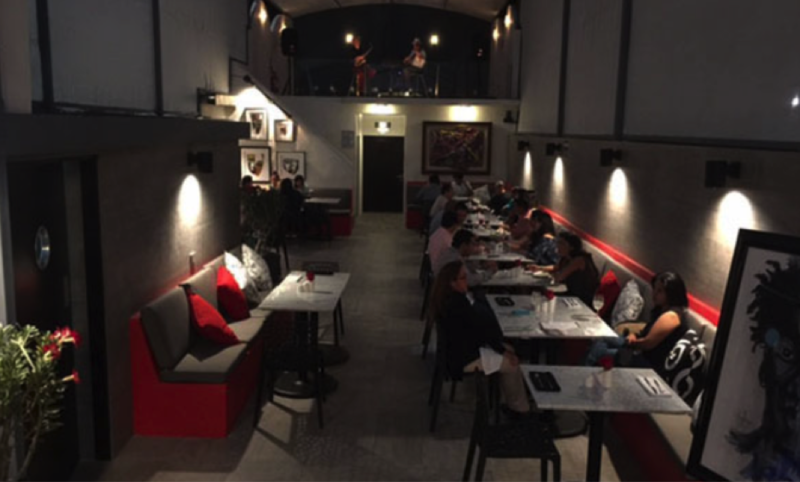 La Musa’s urban chic vibe provides an environment for art lovers to experience works from new Latin American artists while giving them the chance to partake in food from some of the most artistic chefs in the region. The colors, lighting and textures work together to infuse a sense of “chill” but keep the art and food at the forefront of the experience. Think of your consumer journey and ask yourself how you can enhance the brand experience to the Nth degree. It will keep your customers coming back for more. Antonio Patric Buchanan is Co-CEO and Chief Strategy Officer at Antonio & Paris. A&P is a branding and design studio that work with clients such as AT&T, MINI Cooper, DIRECTV, Tenet Health Care, Paramount Pictures, Brookdale Senior Living, Barco Escape, and Wrigley/Mars to name a few.